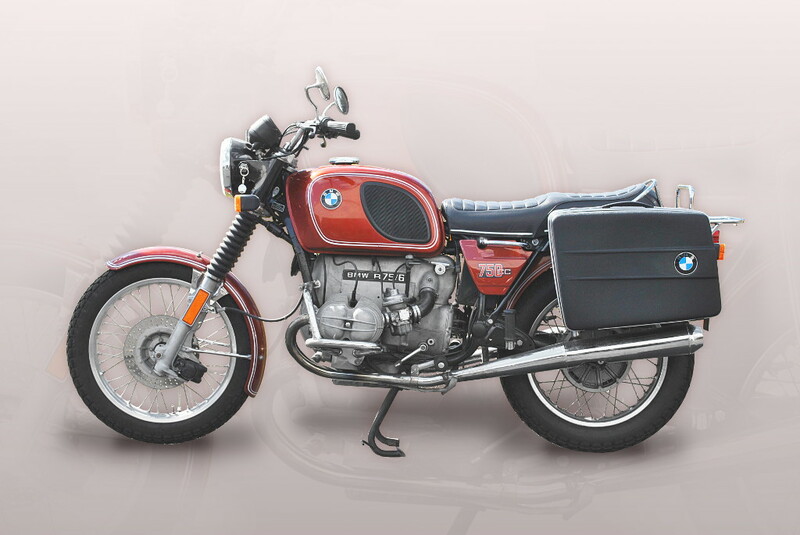 The BMW R90/6 was built from 1973 to 1976 with a 2-cylinder, 898cc, air cooled, 2 valves per cylinder, carbureted, 4-stroke boxer engine that made 67 HP. 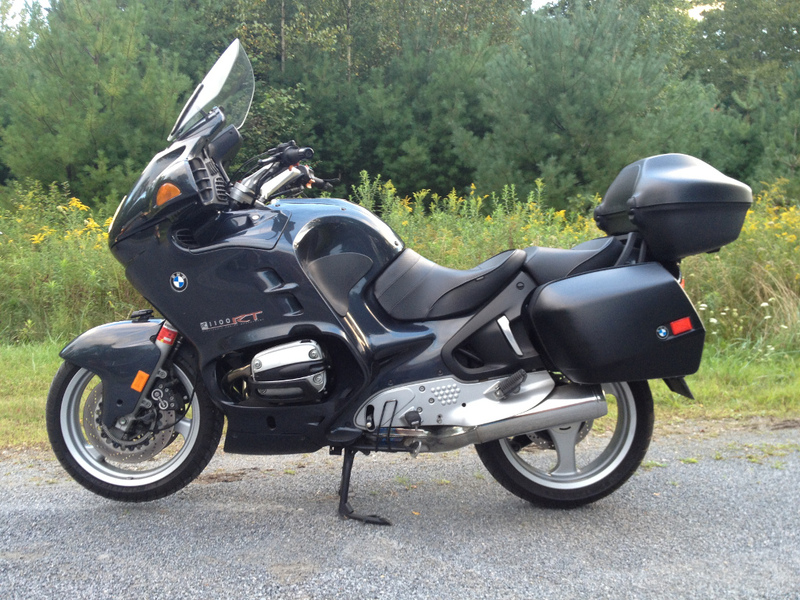 Top speed was 120 mph. 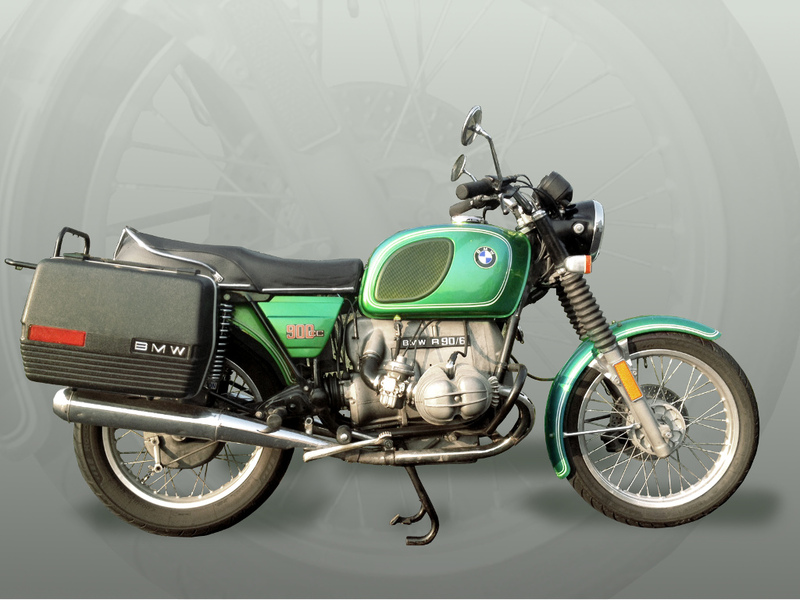 Five speeds, shaft drive, wheelbase 57.7, seat height 32, 3.25 x 19 front wheel, 4 x 18 rear wheel, front disc brake, drum rear, 6.3 US gal. tank. 52 mpg. 474 lb. wet weight. 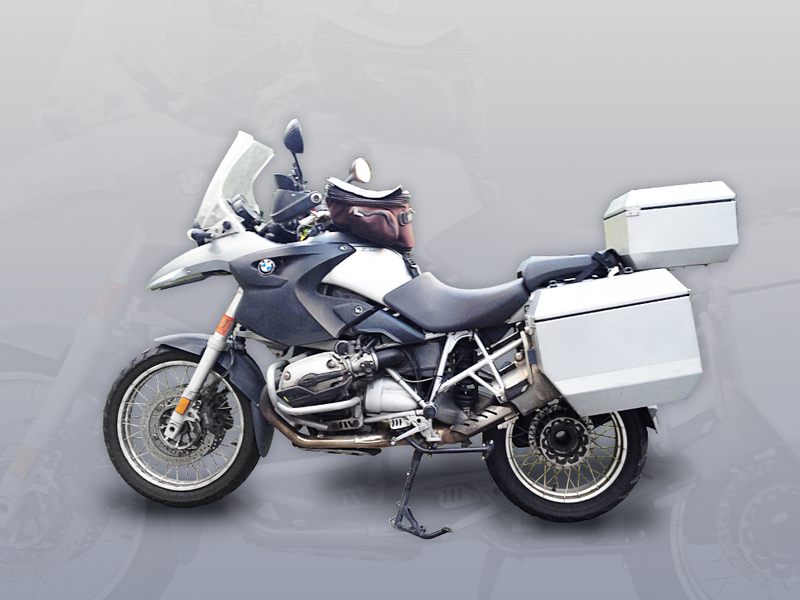 The BMW R1200GS was built from 2004 to 2012 with a 2-cylinder, 1170cc, air/oil cooled, 4 valves per cylinder, fuel injected, 4-stroke boxer engine that made 109 HP at 7750 RPM. Top speed was 125 mph. 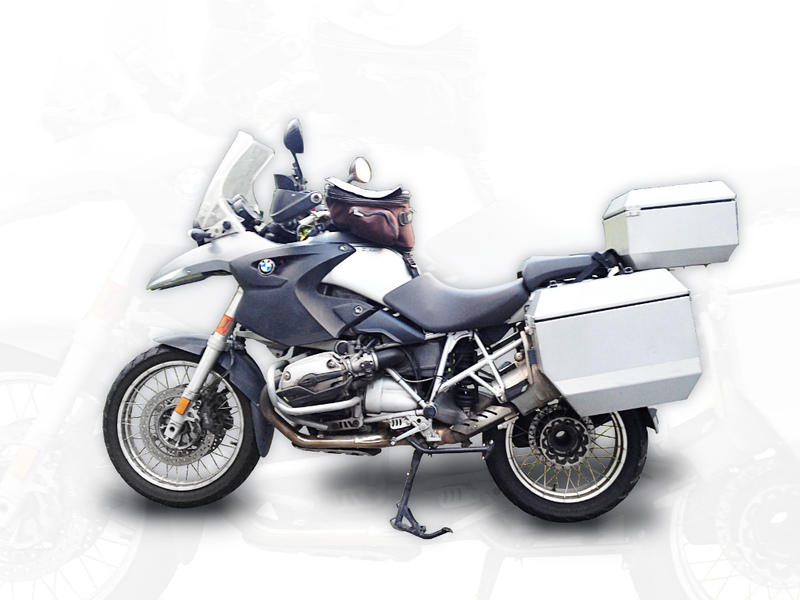 Six speeds, shaft drive, wheelbase 59.3, seat height 33, 110/80 R 19 front wheel, 150/70 R 17 rear wheel, front dual disc brake, disc rear, 5.3 US gal. tank. 51 mpg. 448 lb. dry weight. 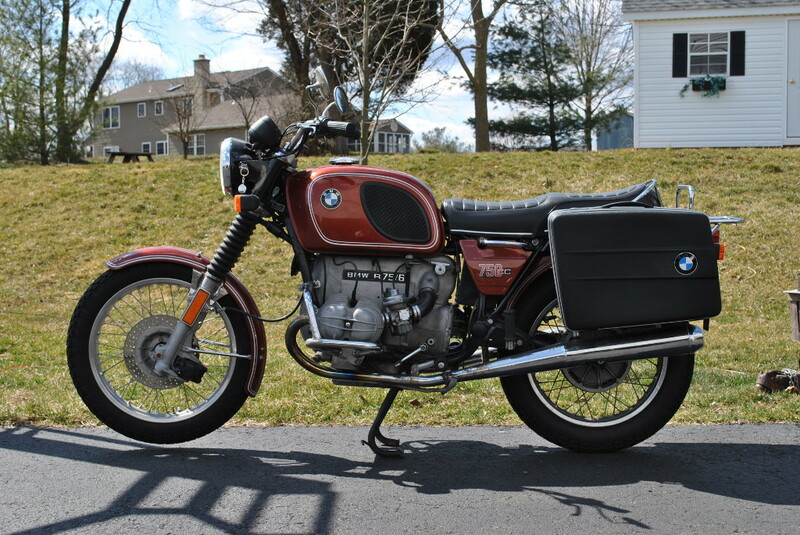 The BMW R75/6 was built from 1973 to 1976 with a 2-cylinder, 745cc, air cooled, 2 valves per cylinder, carbureted, 4-stroke boxer engine that made 50 HP at 6200 RPM. Top speed was 110 mph. 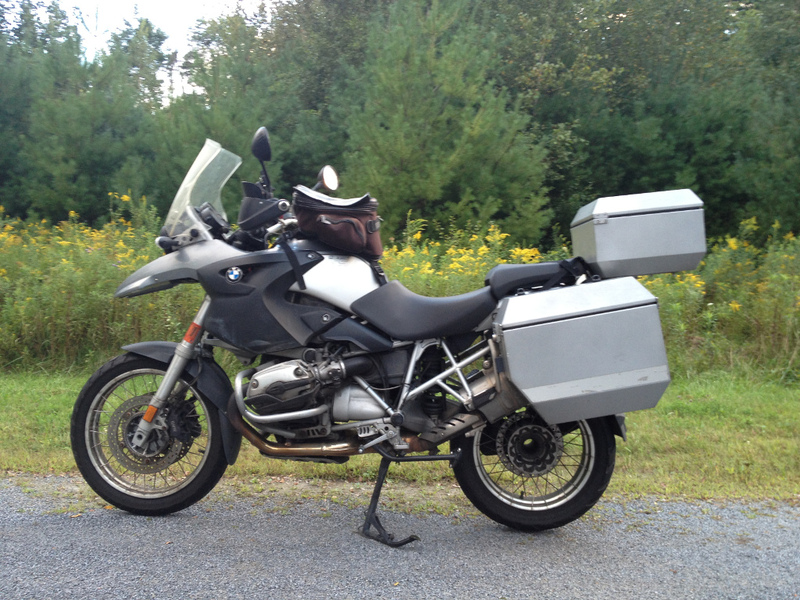 Five speeds, wheelbase 57.7, seat height 32, 3.25 x 19 front wheel, 4 x 18 rear wheel, front disc brake, drum rear, 4.8 US gal. tank. 52 mpg. 462 lb. wet weight. 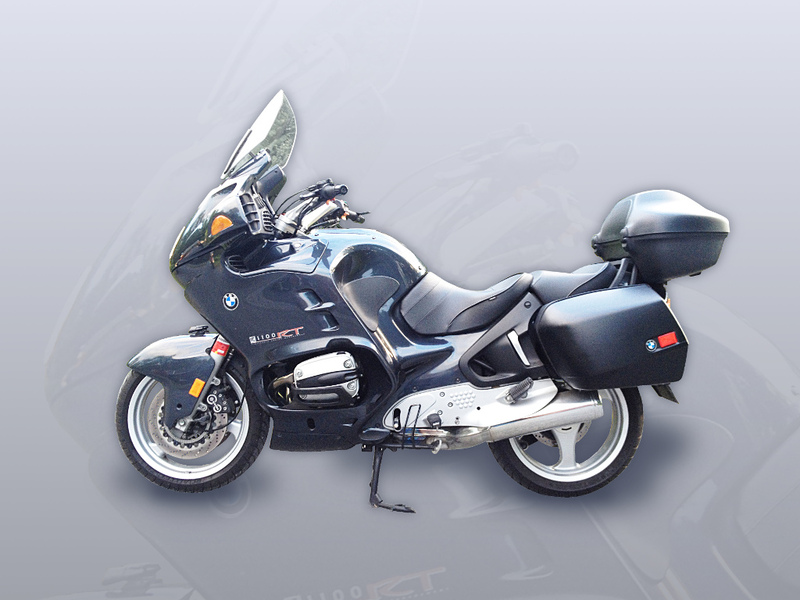 The BMW R1100RT was built from 1996 to 2001 with a 2-cylinder, 1085cc, air cooled, 4 valves per cylinder, fuel injected, 4-stroke boxer engine that made 90 HP at 7250 RPM. Top speed was 120 MPH. 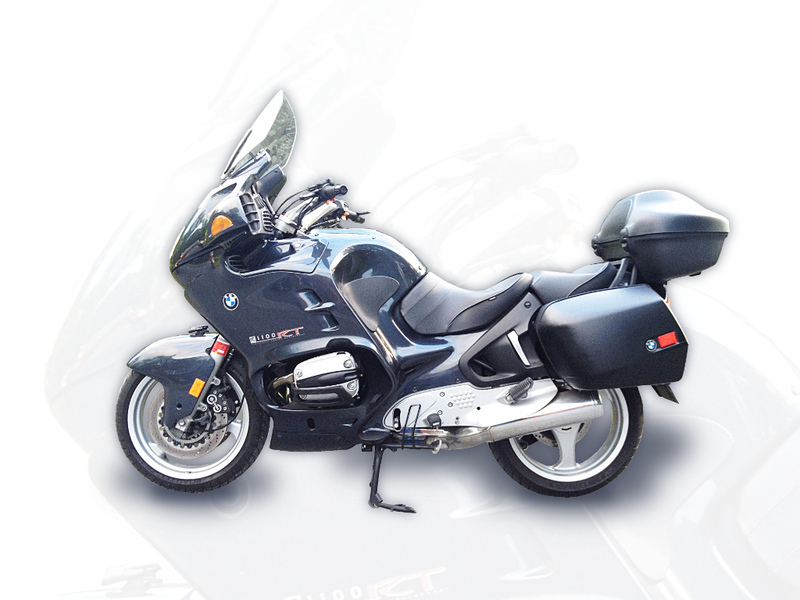 Five speeds, wheelbase 58.5, seat height 32, 3.5 x 17 front wheel, 4.5 x 18 rear wheel, front dual disc brake, disc rear, 6.9 US gal. tank. 50 mpg. 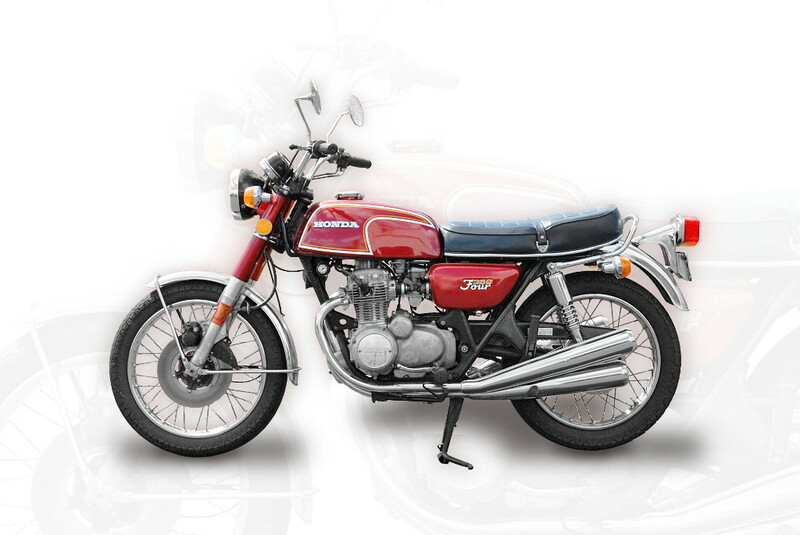 The Honda CB350F was built from 1972 to 1974 with a 4-cylinder, overhead cam, 349cc, air cooled 4-stroke engine that made 34 HP at 10,000 RPM. Top speed was 98 MPH. 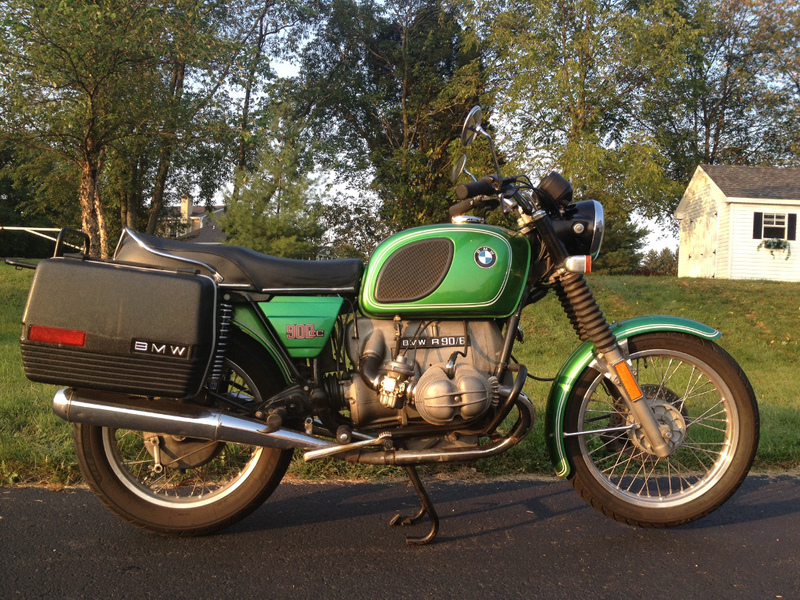 Five speeds, wheelbase 53.3, seat height 31, 3 x 18 front wheel, 3.5 x 18 rear wheel, front disc brake, drum rear, 3.4 US gal. tank. 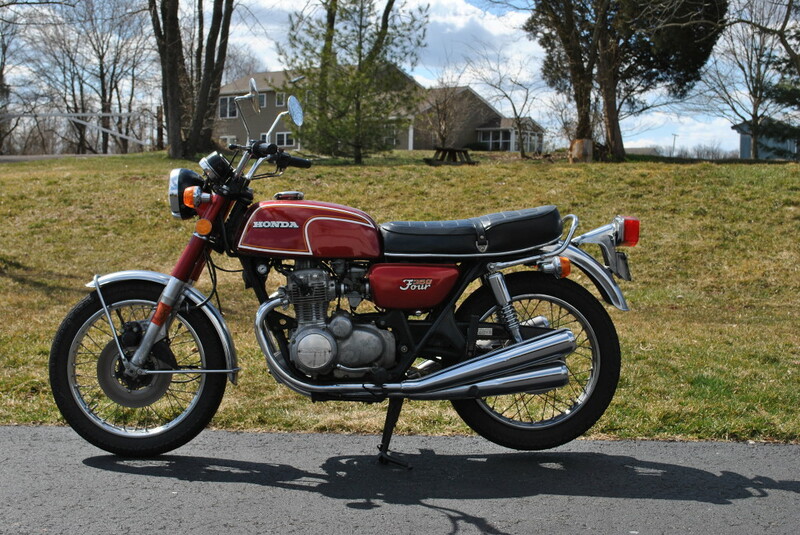 40-60 mpg.